The charred arrow spirit which was struck by the heavenly lightning bolt and was still standing next to Zhu Yao earlier, simply saw a flash of red light in front of his eyes. In the next instant, he appeared in a foreign world. The mountains were lush and the river streams were clear. Divine plants and herbs filled the land, and the divine energy was rich. Clearly, it would have been a treasured land for cultivation, if not for a man emitting out a cold aura, and a demonic beast baring its teeth, standing in front of him. The arrow spirit’s legs shivered, as he instantly knelt on the ground out of fear of that person’s and beast’s aura. He was unable to see through that man’s level of cultivation, but he could clearly feel that killing intent which was impossible for him to resist against. As expected, with a loud thunder, a bolt of heavenly lightning was struck directly towards him. As the arrow spirit had a metal elemental body in the first place, he possessed a little innate resistance against lightning, however, it would still be impossible to guard against bolts after bolts of lightning struck towards him. The arrow spirit felt that he was suffering the worst inhumane abuse he ever had since he gained his human form. Accompanied by rolling thunder, the lightning bolts struck him several times, directly beating him back into his original form, and he lost consciousness after that. “Master?” Zhu Yao’s doubtful voice came from the sky. After looking into her divine sense region, she found out that the dimensional space had instantly shrunk by a great amount. The initially boundless sky and earth, had actually turned into the size of a farming family’s yard. Zhu Yao instantly recalled that her face was splattered with that pig-faced arrow’s blood. At that moment, she felt like crying. Who said that a good person would definitely have good fortune!? You best come out! Don’t even wish that you can walk straight again in your entire lifetime! Yu Yan did not reply, instead, he lowered his head and looked towards the half-broken arrow, which had reverted back to his original form, that he had already struck down. When he thought that such an arrow spirit was going to follow by his own disciple’s side in the future, for a moment, he felt that he should strike him a few more times. When the arrow spirit woke up, he was no longer in that terrifying place. Even the injuries on his face had completely disappeared. As for the little lady who had beaten him into a pig face, was currently sitting not far away from him, looking at him with a smile. “You’re awake?” The little lady patted on his shoulders, and her smile became even deeper. To be exact, it was her master. She was only in-charge of pulling him out. That’s right, only this arrow spirit could freely enter the dimensional space. Did he have to feel moved so randomly? Where’s the basic virtue of your job as a little ruffian? You look really frightening from crying in such a manner, you know? “You’re denying it? Then what was the deal with that talisman before?” If he hadn’t thrown the talisman at her, she wouldn’t have summoned the heavenly lightning to strike him either. Furthermore, if that was the case, her face wouldn’t have been sprayed completely by his blood, and she wouldn’t be bound to him. “Explosive talisman? Impossible. That talisman treasure was clearly something which a Gold Deity senior personally bestowed me in order to aid my cultivation.” The arrow spirit was at a loss, and his face was filled with utter disbelief. Zhu Yao frowned. It seemed like he really didn’t know that talisman treasure would explode. Recalling the position he was standing earlier, if that talisman had really ignited, he himself would have been dragged in as well. Looking at this perspective, it seemed that this arrow spirit was used by someone else. Clearly, that Gold Deity wanted to make use of him to kill that woman, and that talisman treasure was the weapon. However, most probably, that Gold Deity never expected that this guy was just all show and no talk. Although his body was covered entirely in a fierce aura, his martial strength was practically zero. And she was just an innocent passer-by who got involved. “Let’s go. We’re going into the city.” Zhu Yao summoned her divine sword, pulled along the arrow spirit, and flew towards the city that was filled with countless lights. “Great Deity Till?” The hell was that? “This little one has only gained the human form not too long ago, and has yet to receive a name. Why don’t Till… Great deity Zhu give me one?” He had long wanted to change his name, however, he simply did not know what was suitable for him. “You’re both ero, and a spirit. It doesn’t sound good indeed. Alright! Let me give you one then.” Zhu Yao patted on her chest with a confident look. She specialized in giving names after all. “…” The arrow spirit’s face which was filled with expectations, instantly stiffened. “Great… Great deity. I’m not a dog spirit.” Why did he have to be called Goudan? And where did the surname Li come from? “But…” Why did he feel something was strange somewhere? “Mn, it seems little one has the potential to be taught well!” It was definitely because she was trying to find a sense of balance with the name “Blossoming Jade”, nor was it because she was trying to take revenge against him for suddenly binding her dimensional space. For some unknown reasons, whenever she heard the name ‘Dog-Egg’, momentarily, she would feel that the entire world had become a lot fresher! The two of them arrived at the city gate after a short flight. The city did not have any city walls, as its surroundings were seemingly protected by a circulating transparent layer of barrier-like formation. And, at the entrance, there was a gigantic wooden plate floating in the air. On it, the city name was written. It was two extremely simple words – Divine City. Mn, it was actually quite appropriate. There were not many guards at the city gate, and there was a huge number of deities walking in and out. The moment they entered however, it was a different place. There was a winter melon floating over here, a pumpkin floating over there, a corn floating on the left, and a watermelon floating on the right. It was just that those objects, were all incomparably huge, and was almost the size of a storied building. Only when she saw deities moving in and out of those places, did she finally understand that they were really buildings. The construction standards of Divine Realm were rather advanced, huh. Zhu Yao felt that she had been transported into some sort of fantasy fruit world. The student, arrow spirit Li Goudan, brought her directly towards the city south, and only stopped when they arrived at the winter melon structure. Why was the winter melon in the south, and not the pumpkin?3 And what was in the east? There’s nothing she could do if the plants grow in wrong places. Li Goudan entered, and asked the owner of the building a few questions. As expected, that Gold Deity was no longer here, most probably to not expose his identity. After all, he already thought of making use of someone else to kill a person, so naturally, he wouldn’t stay and wait here to have someone settle the score with him. They then directly went around the city to make inquiries, yet, no one else had seen that Gold Deity. Zhu Yao suspected that person most likely had changed his appearance as well. Seeing that she had taken an unnecessary loss this time, she could only admit that it was due to her misfortune. After running around for a day, the sky had already turned dark. Zhu Yao decided to stay in the city for a night, as she rented a room in a structure that looked especially like a sugar cane. It had to be mentioned that the boss of this place sure planned it out pretty well. Since there were layers on a piece of sugar cane, every layer was thus a room. That was a place similar to an inn, but these were not just regular rooms, but cave residences, filled with dense amount of divine energy, that were used for cultivation. One could make it a temporary residence, or cultivate in it for a long period of time. She was staying in the fifth floor, while Goudan was staying in the floor below. Just when Zhu Yao was about to close the door and head in for a rest, the moment she raised her head, she actually saw a familiar figure in front of her. 1. 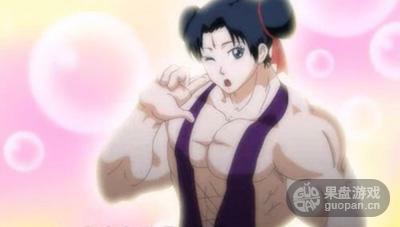 Li Goudan(李狗蛋): A Chinese internet lingo which refers to someone with a beautiful face, but muscular body. 2. A lowly name could raise a better person: There’s a Chinese saying that if you were to give your child a pet name, that child will work even harder in life. 3. Winter melon, in Chinese, is called 东瓜(Fruit from the East), while the pumpkin is called 南瓜(Fruit from the South). So she was commenting on how the pumpkin was situated in the east instead of the winter melon. Pumpkin(南瓜）actually means ‘southern melon.’ 南（nán) actually means south. Winter melon(冬瓜/东瓜）could actually mean either winter(冬）melon(瓜）or eastern(东) melon(瓜). Another name for Winter melon is Wax Gourd. Mmhmm. Yep, I changed it! The directions were confusing me while I was translating. Was never good with them in the first place. Huhu. Thanks for noticing it!